The Department of Trade and Industry (DTI) updated the Committee on the progress of the National Credit Act Regulations (NCAR) and provided a status report on the Committee’s recommendations with regard to the Gambling Review Commission’s report, including the implementation of the amended Lotteries Act, and an update on the transformation of the horseracing industry. The DTI said that the amendment to the National Credit Act had been signed into law by the President on 19 May 2014, and that some of its provisions could effectively be implemented if supported by regulations. From 30 April, there had been consultation in this regard, after which the recommended regulations had been submitted to the Minister. The regulations focused on the assessment of affordability, the capping of interest rates, the removal of adverse consumer credit and eradication of reckless lending. Members felt that the regulations were needed to close the gaps in the credit industry, but were pessimistic on how affordability would be assessed and how reckless lending would be eradicated. Concern was expressed over a trend towards electronic extension of credit. There was a need to standardise the rates of interest being charged, and to eliminate the abuse of credit insurance costs. Maintenance payments should be taken into account when assessing affordability. The involvement of lawyers in debt collection had serious cost implications. Some lending companies were seeking a delay in the implementation of the regulations, but the DTI wanted no delay. In the Gambling Review Commission’s report, the DTI indicated that the Lottery Trust Fund had been established and regulations had been drafted to regulate the application of funding and the monitoring of grants. The draft regulations had not yet been published for public consultation. With regards to gambling, the DTI was objecting to new forms of gambling, including online gambling, and there was a need for the national government to regulate the Electronic Bingo Terminals (EBT). On the issue of horseracing transformation, the DTI reported that real transformation was being hampered by labour brokers, abuse and discrimination, especially the lack of implementing affirmative measures. The DTI had adopted a turn around strategy under which it was appointing facilitators and demanding the removal of labour brokers and adherence to black empowerment measures. Members sought clarity on the prohibition of online gambling, the EBT, and the challenges involved in transforming horseracing. The Chairperson opened the meeting by accepting apologies from Adv AD Alberts (FF+) and Mr F Shivambu (EFF) and from Mr B Mkongi (ANC) for coming late. She proceeded to the adoption of the agenda, which was seconded by Ms P Mantashe (ANC) and Mr N Koornhof (ANC). Ms Zodwa Ntuli: Deputy Director General: Consumer and Corporate Regulation, DTI, introduced her team, which comprised some the interns, to the Committee. She said that the interns were trained and groomed in the areas of policy and regulations. The brief was about providing a sense of where the DTI was regarding implementation of the National Credit Amendment Act (NCAA), and what the critical issues were. Mr MacDonald Netshitenzhe, Chief Director, Policy and Legislation, DTI, said that the NCAA was signed into law by the President on 19 May 2014. A team of legislative drafters and policy-makers had identified sections of the NCAA which needed implementation through regulations. From 30 April 2014, the DTI, the National Credit Regulatory and National Consumer Tribunal had jointly consulted with targeted stakeholders such as credit providers, payment distribution agents and financial institutions in order to test the market. The National Credit Regulator (NCR) had submitted an official communication to the Minister dated 15 July 2014, as required by the NCAA, recommending that these regulations should be issued as regulations. Drafting of the regulations went through three phases. Firstly, the regulations were published for public comment for a period of 30 days. The closing date was set on 31 August. About 37 public comments were received and were still being analysed. Secondly, special consultative meetings with key stakeholders were held from 11 August to 27 August. Thirdly, a workshop on the impact of the NCAA regulations was held on 16 September. Mr Netshitenzhe provided a summary of the provisions in the draft regulations, including criteria for registration and fees, and a list of stakeholders who had contributed to their drafting. The planned actions and their timeframes for implementing the NCAA were given. On 31 October, regulations on affordability assessment would be implemented. On 19 November, the interest rate caps, or cost of credit, would be reviewed. On 31 October, a report on credit insurance capping regulations would be presented to the task team and the credit bureaux would have monitored the implementation of the removal of adverse consumer credit information, and information relating to paid up judgments, and submitted audited reports. Mr Netshitenzhe said that final draft regulations with recommendations would be submitted to the Minister at the end of October. The Minister and the President would be signing the President’s minute and the proclamation that would be putting the regulations and the NCAA into legal force. An implementation plan for the NCAA and its regulations was being developed. Education and awareness would be emphasized in the implementation plan. Ms Ntuli referred to the implementation of the removal of adverse consumer credit information, and said she was pleased that all stakeholders were complying with the regulations. It had been reported that such process was to the advantage of some contracts. Parliament had been correct to suggest that regulations to the NCAA were needed instead of guidelines. The affordability assessment was a key to the regulations. In the expectation of strict rules stemming from the regulations, credit service providers were aggressively coercing consumers to take credit or loans before they came into force. The situation was worrying. Some of the requirements of the affordability assessment were not applied by the credit service providers who issued credit electronically -- for example, Wonga.Com. The fact that technology made it easy to process a credit application should not mean that an institution could not verify whether a customer could afford the credit. This would ensure the sustainability of the lending business. Ms Ntuli said investigations by the NCR had revealed that reckless lending had continued, in spite of the NCAA. The regulations should stop this. The support of the NCR was needed to prevent reckless lending from happening again. The DTI was expecting some kind of resistance, but she believed that the regulations would not have an impact on the running of businesses. During the process of consultation, the task team composed of the National Treasury and Departments of Justice, Correctional Services, and Trade and Industry had looked at the factors that compounded indebtedness, which the regulations would respond to. She was concerned that there would be a big element that would not be able to be covered, such as the abuse of garnishee orders and emolument-attached orders. This element had been handed to the Department of Justice, which was in the process of amending the Magistrates Court Act and the Debt Collectors Act. The DTI had received an update on that process. The DTI had started to see a direct link between reckless lending and the supply value chain, especially how it negatively impacted on the credit industry. An example was the problem being experienced by the African Bank. There was a systematic connection between reckless lending and the responsibility of directors. Their role should be called into question. The level of non-compliance impacted on the entire operation of companies. This situation had prompted a review of the Companies Act, especially the areas dealing with credit. An amendment to the Companies Act would rescue the credit business in circumstances where people were given credit and were unable to pay. The high level of indebtedness continued to be a major concern. The task team continued to look at this issue very closely. Some stakeholders had suggested that the implementation of the regulations should be deferred, but the DTI did not agree – it wanted to see the regulations being implemented as soon as possible. Ms Ntuli said there was an issue regarding the curbing of credit insurance costs. A project developed by the NCR and Financial Service Board (FSB) was underway. The FSB was a financial institution that dealt with long and short term credit insurance. The NCR and FSB had completed a first draft, in consultation with the DTI. The second draft would be submitted to the Minister for consideration. The sooner that was done, the DTI would be able to incorporate it into regulations. She concluded by commenting that the stakeholders had been cooperative, and the implementation of the regulations would be to the benefit of consumers. Mr Koornhof sought clarity on whether law societies had been consulted and whether some lawyers wanted to be registered as debt collectors. He felt lawyers should be debt collectors, because they were well-organised and self-regulated. Ms Mantashe asked about credit providers who extended their customers’ credit electronically, and on the persistence of reckless lending. Mr G Hill-Lewis (DA) sought clarity on whether the NCAA implementation deadlines would allow the Committee to contribute to the regulations, and the inclusion of maintenance payments in the context of assessing affordability. He remarked that the verification of financial means was problematic. The regulations were geared towards monthly payments and what the consumers could afford. What would happen in the case of a consumer who was granted credit of R10 000 and it transpired that he or she could afford only R400 per month? The period of payment would be extended. As the period was extended, more money would have to be paid as interest. Were these regulations not intended to protect the consumers from paying too much, or becoming more indebted? How should affordability be calculated? The Chairperson sought clarity on the reasons advanced by the stakeholders who had requested a delay, and on whether reckless lending referred to the circumstances under which credit could be issued to a consumer who went beyond the limitations, irrespective of how low or high their income was. What was the role of the Department of Social Development in that respect? For assessment of affordability, what was the required documentation? Mr Netshitenzhe replied that the DTI had considered including lawyers in the task team. The issue of lawyers being a self-regulating industry had been discussed with law societies. They had agreed to come with something tangible so that consultation could start. The debate about their inclusion was still an internal matter. On the issue of electronic extension of credit, he replied that technology was a mode of communication that could conform to regulations. If a credit provider wanted to issue, renew or extend credit, he or she ought to verify the financial means of a consumer and make sure the consumer met the prescribed requirements. On the issue of maintenance, he said those involved appreciated what the DTI had done. Maintenance payment should be taken into account as part of the affordability assessment regulations. On the issue of delays, Ms Ntuli replied that the DTI was still listening to stakeholders, and the issue was being debated extensively. Her fear of delaying implementation was that many consumers could be affected by reckless lending, which was growing so fast. The companies were requesting a delay for them to get their systems ready for compliance. In her view, there should be no delay in the implementation, and the NCR should rather intervene in getting the system ready. The matter of involving lawyers as debt collectors had been debated by the task team and the Law Society had been approached. The legal industry was self-regulated and well organised. However, the problem was that once a consumer involved a lawyer, payment could continue until he or she died. If a consumer had credit of R10 000, and the case was referred to a lawyer, a consumer would find himself paying triple the amount. In terms of the regulations, a consumer should always be informed how much he or she had to pay, and the outstanding balance. On the issue of documentation, a consumer ought to produce a three-month’s bank statement or three-week payslip (for those who were paid weekly) or a police affidavit affirming that he or she is engaged in wage-earning employment or self-employment. Of course, the assessment of affordability was done on the basis of monthly income and expenditure, which would illustrate how much a consumer could afford. For those who received credit but could not pay back within an agreed period, there would be the option of a debt rearrangement of payment, to avoid more interest. The interest should not equal the capital amount. It should be a normal practice that if a consumer could not pay as initially agreed, there would be an arrangement which did not subject a debtor to exorbitant interest. With regards to referral of cases to lawyers, Ms Ntuli stressed that the cost was huge. She was engaging with lawyers to see how they could bring the cost down. Consumers were vulnerable when credit cases were referred to lawyers. There was a need to look at that situation and thus a gap should be closed for the sake of protecting consumers from paying high costs. On this note, she was expecting the Law Society to come up with a sound proposal. There were a lot of gaps that were adversely affecting consumers. There was also the issue of disclosure, which was viewed as problematic. The issue was being looked at by FSB. Of concern was that the DTI could not legislate on everything, but it could do everything in its power to protect consumers from being victimised. For example, if companies continued to be reckless in lending, that would attract the legal mechanism for the protection of consumers. Ms Ntuli said the deadlines had to do with the DTI’s planned targets. The deadlines would not impede the consultation process, especially the inputs of the Committee, which were needed. Mr Hill-Lewis said that he did not understand how a calculation of affordability could be made in the case of a person who was facing financial difficulties. He sought clarity on whether the problem was either to pay back on time, or to extend the period for the purpose of paying the loan back. He asked when the first draft would be tabled before the Committee and what the deadline of 19 November meant. He remarked that he had received various complaints that lawyers were acting unethically. Mr D Macpherson (DA) sought clarity on the issue of the African Bank. The issue should not be dealt with individually, but collectively. Credit providers and other stakeholders should be called on to debate the matter. On 5 September, he had made a request to the Chairperson to call African Bank, the NCR and other entities to come and brief the Committee on what was wrong with the credit industry. He did not understand why the Chairperson had not reverted back to him. Why should the Committee not bring all stakeholders into one room and sort out all these issues? Prof C Msimang (IFP) sought clarity on reckless lending and whether affordability assessments would open the door for credit providers to refuse to grant a loan unnecessarily or unreasonably because they thought a customer could not afford it. Mr B Mkongi (ANC) asked whether the DTI was intending to standardise the interest rate. Some creditor could charge as high a rate as 30% interest. There were consumers who were being harassed because they owed creditors for more than ten years. There were those who taken out a loan while they were studying, and were now working, but were unable to secure their debts. There was an emerging problem, where furniture stores were becoming credit providers. This new approach would result in market failures. Ms Mantashe appreciated the manner in which the issue of lawyers had been approached. She proceeded to seek clarity on the financial institutions, especially banks. Were the banks’ charges reasonable? Where did interest go? The Chairperson asked Ms Ntuli to respond to issues raised by the members in writing. She said that the introduction of an affordability test would exclude people who earned a low income, such R2 000 per month. She sought clarity on the regulation requirements set out in slide 8. Referring to a standardised interest rate, Ms Ntuli said her division was in discussion with the NCR, the Department of Justice, the Creditor Providers Association and National Treasury to see how she could intervene. A recommendation for standardised interest rate would have to be based on extensive consultation. Lack of knowledge was a major contributory factor for consumers to have debts lasting for ten years or more. In responding to this problem, the DTI would need to run campaigns to educate the community. A lot had to be done in this area. Some consumers were not aware that they had to pay every month, not just once in three months. Prior to the introduction of these regulations, the affordability requirement had not been a core principle in granting a loan. Creditors had been issuing further credit without taking account whether a debtor could afford it. Other credit services had been approaching consumers through cellphone “sms.” If a consumer accepted, a loan could be processed without verifying his or her affordability. All these problems contributed to indebtedness, resulting in blacklisting. To guard against indebtedness, the Credit Bureau Association should collaborate with credit providers in order to compile a list of debtors. The list would be disclosed to all credit providers so that a credit provider would be able to know whether a consumer had credit with another credit provider. There was a need to discuss the issue of banks’ interest rates, and see how the consumer could benefit. The issues of interest, bank charges and affordability ought to be aligned with law enforcement. This would depend on the budget and human resources available. For example, Standard Bank had been found to be charging a high interest rate, and had been requested to pay back. Likewise, the National Students Financial Aid Scheme (NSFAS) had given loans to students with a high interest rate. It was requested to pay back money. With regard to affordability, Ms Ntuli said that it was essential for a credit provider to verify the existing financial means, obligations, and prospects of consumers. Financial prospects would refer to inflation or the problem of food pricing that went up from time to time. On the issue of abuse of credit insurance costs, Ms Ntuli said that consumers were insured against items that could not otherwise be covered. The credit insurance, in many cases, expired when the consumer was retrenched or retired. With regard to the review of the interest rate caps, the NCR was looking extensively into that matter. The NCR report would be handed to the Minister on 19 November 2014 for consideration. With regard to African Bank, Ms Ntuli said that the DTI had conducted a study to see what was happening, to prevent it from happening somewhere else. The regulations would provide the parameters within which a credit provider could work. This would prevent unnecessary problems arising. The Chairperson said that any further questions should be sent to the Committee’s secretary so that they could be forwarded to Ms Ntuli for response. In her response, the Chairperson asked the DTI to provide an overview on the progress of the task team, especially on interest rates and affordability in terms of social grants. The issue of interest rates had been identified as the weakest link in the NRC’s operations. She would like to know what was happening in the case of consumers who received social grants. Members of the Committee should look at the regulations for possible inputs. She acknowledged that she had received the communication from Mr Macpherson on the issue of African Bank, but said it should be raised with the Minister on 6 November, when he briefed the Committee. The Chairperson asked whether the report of the Committee on the implementation of the Industrial Policy Action Plan, with specific reference to the state of the manufacturing sector, should be sent to the Announcements Tabling Committee (ATC). This was supported by Mr Hill-Lewis. The Chairperson announced that the matter was not going to be debated on per se, but would include all references and other issues that the Committee had agreed should be featured in the report. Mr Macpherson asked how long the tabling would take. The Chairperson replied that it might take one and a half hours. Mr Mkongi said that the report was a very important matter, which should be allocated enough time to be debated on. The Chairperson replied that she would push for an hour and a half. The Chairperson requested an update on horseracing industry transformation and the security of the Department of Trade and Industry. On the issue of security, she asked Ms Ntuli to communicate the following message to the DTI’s Director General: To guard against missing of documents and computers, the DTI should ensure that adequate security is provided and no equipment leaves the building without proper authorisation. Secondly, no person without proper authorisation enters or leaves the building. Thirdly, adequate steps ought to be taken to monitor visitors. Was there any objection on the issue of enhancement of security? The Chairperson said that if there was no objection, Members could comment on her statement. Mr Macpherson said that the Chairperson should encourage Members to visit entities to see if there was any information related to a forensic investigation which was under way. The Committee should see if there was any information it could get that would help an entity to do a better job. Such information should be communicated to the Minister. That was what he had done. The information he had received related to the said forensic investigation because there was a serious allegation of obstruction of justice. If this had taken place, Members of the Committee should assist in getting to the bottom of this. Mr Mkongi objected. Members of Parliament had an individual mandate to conduct oversight visits to all departments and entities the Committee was working with. For the proper running of this Committee, he would support that the Chairperson of the Committee should coordinate all individual oversight visits. The Chairperson accepted. She commented that if everyone scheduled his or her own oversight visits, it would be difficult to have Members of the Committee on board when the Committee sat. There should be a balance between individual oversight and the Committee’s business. For the Chairperson to coordinate individual oversight visits, Members had to send to her their scheduled visits via email. She invited Ms Ntuli to brief the Committee. Ms Ntuli said the presentation would be brief. It was an update on transformation in the horseracing industry. However, the presentation would focus on the three aspects: the implementation of the Lotteries Amendment Act (LAA) 32 of 2013; the recommendations of the Portfolio Committee on the Gambling Review Commission (GRC) report; and transformation within the horseracing industry. The GRC was administering Lottery Trust Funds. These were funds that came from lottery games. The funds were allocated 4% of the money generated from the sale lottery tickets. The GRC distributed the money to the public through applications. Previously, funds were easy to apply for, and there was no monitoring mechanism. Funds would be monitored once granted. Audited financial statement (AFS) requirements: Small (bank statement), Medium (independent reviewers), Large (AFS). A grant of R5 million and more was regarded as large grant. Small grants should not be subjected to a long waiting period. Multi-year funding should be subject to control, because the National Gambling Board was not aware of how much it would raise and how much it could allocate on a grant. The draft regulations limited organs or entities that could be eligible for grants. According to the categories of grants, the draft regulations provided for the requirements an applicant should meet, and stipulated his or her obligations. The main purpose of the amendment to the Lotteries Act was to provide for the adjudicating committee members to be appointed on a full-time basis. When the regulations came into effect, they would start implementing the LAA. All the problems that had been identified would be addressed by the adjudicating committee members. There would be a turn around strategy. It should adjudicate cases within 150 days. There would be review and appeal mechanisms. Complaints would be subjected to exhaustive internal investigation before the matter might be taken to court. The recommendations of the GRC had been interrogated by this Committee, which had produced its own report. The DTI had looked at both reports and had done its own work in regard to the entire gambling industry. Since gambling was legalised, the NGB had been compiling useful information and what the DTI had noticed was that there had been some significant growth in the gambling industry. Horseracing and casinos were not growing as they should. They were sectors that could contribute to economic transformation in terms of job creation and economic development. The DTI had a draft of the gambling policy, which would be developed in line with the outcome of consultation. Ms Ntuli said there were new forms of gambling, including online gambling, but the DTI had resolved that these new forms of gambling should not be allowed. The problem of gambling in South Africa was higher than any European or American country. The problem of gambling contributed to indebtedness. She drew attention of the Committee to the persistence of illegal gambling, which continued as if it were normal. The DTI regarded the National Gambling Board as a core player which would make the gambling policy more efficient and enhance control around access to gambling facilities, and the monitoring thereof. Problematic was the fact that gambling activities were migrating closer to the areas where people lived. It had become a danger to the community. Gambling was addictive and therefore gambling activities ought to take place far from the community. Electronic Bingo Terminals (EBT), a new machine, had been introduced. The Gauteng High Court, had decided that these new machines should not be played outside of a casino. The EBT was regulated at provincial level, and there was no national policy. A national framework was required to regulate the EBT uniformly. Moreover, the number of the licences should be limited. With regard to improving the gambling industry, more focus would be paid on preventing addiction, because it was difficult to counsel those who were already addicted. The DTI would ensure that the transformation was entrenched and enforced. When the policy proposal was accepted, the Gambling Act would be amended. The major barriers to transformation within the horse industry stemmed from abuse and discrimination, but not from capital. Discrimination did not happen in a direct manner, but in other ways. The horseracing industry ought to be subject to government policies that promoted equality, such as Broad Based Black Economic Empowerment (BBBEE). In this context, the Department had engaged with the grooms (facilitators), the National Horseracing Authority, and Gold Circle concerning transformation. According to the structures, the trainers employed the grooms. It was a classic example of labour broking. The DTI appreciated that it had information from the groomers. The groomers told the DTI how this industry was run in other countries. According to the DTI, the groomers had a willingness to change. The issue between the groomers and employers were the main problem, and the Department would ensure it was put to rest. The Chairperson pointed out that the issue of gambling had been dealt with in the first term, and it seemed to be stretching. The issue of the grooms had come back on the table. The Committee would pay a visit to some entities to see how far they had gone with their transformation. Mr Macpherson sought clarity on the National Gambling Board, with specific reference to the adjudicating committee members. Who sat on adjudication board, and how were these members chosen? Gambling in itself was a problem, and there were conflicting approaches between the objectives of the national and provincial governments. The main objective of the provincial governments was to tax the gambling industry. It was not clear whether there was a moratorium on EBTs or not. If a moratorium existed, when was the moratorium decision taken? Mr Hill-Lewis, referring to the statement on the grooms (facilitators) and labour brokers, remarked that he would be dismayed if there had been no progress on this matter. On the issue of prohibition of new forms of gambling, he sought clarity on the DTI’s position on online gambling. He went on to comment that if it was entirely prohibited, this approach was short-sighted. South Africans should be allowed to exercise the right to choose. Ms Mantashe said that the government could not close its eyes when its people were suffering. It was its onerous duty to ensure the wellbeing of the people. On the online gambling issue, she agreed with Mr Hill-Lewis. Like other conventional forms of gambling, it would get people into deeper financial problems. What made it different from other forms of gambling? On the issue of labour broking, the government should eliminate labour brokers and force employers to conform to transformation policies. The Chairperson remarked that one of the reports submitted to the Committee indicated that in every country, online gambling was allowed. She recalled that Members of the Committee had been interested to know how the money was transacted electronically. Mr Hill-Lewis said that it was desirable for the government to regulate online gambling, but not to prohibit it. Mr Macpherson sought clarity on why the DTI had resolved to prevent new forms of gambling. The Chairperson reminded the Committee that when South Africa became a constitutional democracy, many South Africans liked to play gambling games. At that time, the only formal gambling was horseracing. The democratic government decided to regulate the gambling industry. Though gambling was legalised, it was difficult to raise revenue beyond the provincial level. Today, the casinos were regulated better. The challenge faced by South Africa was that gambling was used by many service providers in the wrong way -- for example, lending money to their customers. The DTI was not concerned with societal morality, but by how the gambling industry could be controlled and thus not victimise its customers. Ms Ntuli said that the draft gambling policy was still a proposal and subject to public consultation. 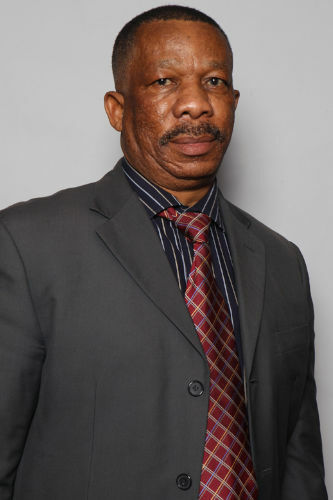 Mr Netshitenzhe said that the issue of online gambling had been extensively debated. A sub-committee had been formed to look at whether online gambling should be allowed. The sub-committee had recommended that the multiplicity of gambling options should be cut. The sub-committee had found that online gambling would not create quantifiable jobs, and would not contribute to social transformation. Other valid reasons that had been advanced included the fact that South Africa lacked the capacity to control or inspect online gambling. It might be a source of money laundering. In the absence of control, there was a fear that minors could engage in online gambling. The Department of Communication was consulted. It had confirmed that it had no capacity to monitor it. The Financial Intelligence Centre Act (FICA) and other anti-money laundering agencies were of the view that online gambling would be problematic and dangerous. On the issue of grooms, he noted that the issue had been on the table of Parliament for a long time. The Minister had reacted on the matter by allowing the Consumer and Corporate Regulation Division (CCRD) to appoint the facilitators. The Minister’s stance on the issue would be tabled to the Committee. The bottom line of regulating the gambling industry was to promote social and economic progress. Ms Ntuli said that there would of course be conflict between the national and provincial governments, because these two spheres of government enjoyed concurrent jurisdiction, especially where they adopted policies with different focuses. However the conflict had been reconciled in terms of the draft regulation policy. The matter was featured in the report submitted to the Minister. The Minister had written a letter to the Kwazulu-Natal provincial government to raise the issue with it for consideration. On the issue of a moratorium on EBTs, she said that when the EBT matter was brought before the high court, the provinces had their own legislation, and some had rolled out the EBTs. There have been discussion on how to deal with the issue of EBTs and a decision had been reached, stating that a national framework was imperative to regulate them uniformly. On the question of who sat on the National Gambling Board, she replied that vacant positions were advertised, applicants were shortlisted, and interviews were conducted. Geographical representation was considered. In the adjudication process, there was a review and appeal mechanism. If a person had received a decision with which he or she was not happy, the matter could be reviewed or appealed against. As regards grooms, the CCRD was of the view that South Africa had laws which ought to be adhered to. It was difficult to appoint the facilitators (grooms), given that it was difficult to find suitable persons who understood the horseracing industry, as well as labour law. It was essential to handle the matter sensitively so that workers did not lose their jobs. Ms Ntulu reminded the Committee that it was in 2008 when a consensus had been reached to adopt legislation stating that only interactive gambling should be allowed in South Africa. Online gambling was not interactive gambling. As for a timeframe for the finalisation of the draft regulation policy, she was not in the position to tell, as the public had not yet been consulted. The Chairperson thanked Ms Ntuli and her team. Any further questions should be directed to the Committee secretary, who would forward them to Ms Ntuli for a response. Given that the policy was still a proposal, the Members still had an opportunity to engage with it. It would be tabled to the Committee for consideration and adoption. The Chairperson requested Members to study the report on the colloquium on beneficiation carefully. The purpose and objective of beneficiation should be considered, and each Member should identify outstanding issues to be addressed. By Thursday, the Committee’s secretary should have distributed the targeted outputs and objectives, as agreed by the Committee. This report should be compared with the Committee’s Report adopted earlier, to identify whether all issues had been addressed, and Members should suggest what the Committee’s conclusion should be. On Thursday, the report and the view of the Members would be communicated to all Members of Parliament. On 4 November, it would be sent to the ATC. The Chairperson said she had received correspondence from Mr MacPherson that she wanted the Committee to discuss. However, the Committee could not discuss it because Mr Macpherson had left the venue before the meeting was adjourned and could not be reached on his phone. She commented that it was unacceptable to leave the venue without apologising.